December 2011 – Theologians, Inc.
Is the story of Abraham and Isaac a suspension of the universal? Is God’s command to Abraham ethical? Was the command a test of faith? If so, why? 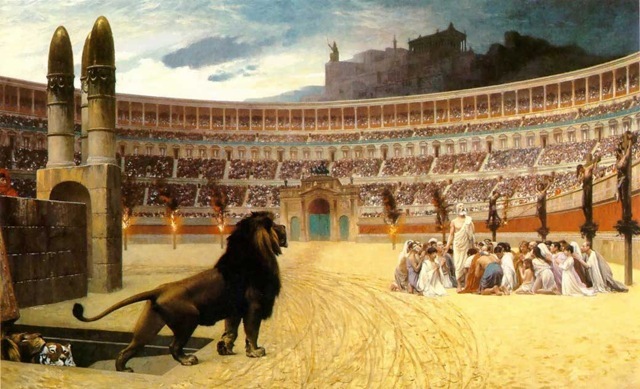 Would Abraham have been right to disobey/refuse? Ludwig Wittgenstein once said that language can’t even describe the smell of a cup of coffee – this is an interesting statement with not a small amount of truth to it. In his ‘Tractatus-Logicus-Philosophicus,’ Wittgenstein reduced language a tight logical system because he was attempting to explain one of Bertrand Russell’s big questions: what is logic? After his departure from and return to philosophy, Wittgenstein realized that what Russell tried to say about logic can’t be said with language – not because of any deficiency on the part of language but because he had misunderstood the limits of language. But should this be seen as Wittgenstein committing himself to the idea of the ineffable? It’s difficult to say – there appear to be things that can’t be said, but must rather be shown – a family resemblance, for example. So to return to the question, what are the limits of language? How does language relate to the world? ‘There are, first, the propositions of logic. These do not represent states of affairs, and the logical constants do not stand for objects. “My fundamental thought is that the logical constants do not represent. That the logic of the facts cannot be represented” (TLP 4.0312). This is not a happenstance thought; it is fundamental precisely because the limits of sense rest on logic. Tautologies and contradictions, the propositions of logic, are the limits of language and thought, and thereby the limits of the world. Obviously, then, they do not picture anything and do not, therefore, have sense. They are, in Wittgenstein’s terms, senseless (sinnlos). Propositions which do have sense are bipolar; they range within the truth-conditions drawn by the propositions of logic. But the propositions of logic themselves are neither true nor false “for the one allowsevery possible state of affairs, the other none” (TLP 4.462). Logic represents the limits of the world for Wittgenstein. But is this true? What is logic’s relation to the world? Can meaningful things be said that don’t fit into the category of logical true/false propositions? And finally, as Bertrand Russell asked, what is logic? ‘Why is it that a man likes to grieve over doleful and tragic events that he would not want to happen to himself? The spectator likes to experience grief at such scenes, and this very sorrow is a pleasure to him. What is this but a pitiable folly? The more a man is moved by these things, the less free he is from such passions. However, when he himself experiences it, it is usually called misery; when he experiences it with regard to others it is called mercy. But what sort of mercy is to be shown to these unreal things upon the stage? The auditor is not aroused to go to the aid of the others; he is only asked to grieve over them. Moreover, he will show greater approval of the author of such misrepresentations the greater the grief he feels. But if men’s misfortunes, whether fictitious or of ancient times, are put on in such a manner that the spectator does not feel sorrow, then he leave sin disgust and disapproval. If grief is aroused in him, he remains in the theater, full of attention and enjoying himself. “For Christians cannot be distinguished from the rest of the human race by country or language or customs. They do not live in cities of their own; they do not use a peculiar form of speech; they do not follow an eccentric manner of life. This doctrine of theirs has not been discovered by the ingenuity or deep thought of inquisitive men, nor do they put forward a merely human teaching, as some people do. Yet, although they live in Greek and barbarian cities alike, as each man’s lot has been cast, and follow the customs of the country in clothing and food and other matters of daily living, at the same time they give proof of the remarkable and admittedly extraordinary constitution of their own commonwealth. They live in their own countries, but only as aliens. They have a share in everything as citizens, and endure everything as foreigners. Every foreign land is their fatherland, and yet for them ever fatherland is a foreign land. They marry, like everyone else, and they beget children, but they do not cast out their offspring. They share their board with each other, but not their marriage bed. For unto us a child is born, and unto us a son is given. Chains shall He break, and in His name all oppression shall cease. And He will be called wonderful counselor, mighty God, prince of peace, and His kingdom will have no end. Within the Judeo-Christian Tradition there are differing concepts of God – ideas range from St. Anselm’s ‘that which no greater can be conceived,’ to the more apophatic (more on that term in a minute) ideas of Judaism and Eastern Orthodoxy – that we cannot know what God is, only what He is not. Apophatic theology is also called ‘negative’ theology, in that it doesn’t seek to ascribe positive aspects to God in His essence; God is completely and totally beyond anything mankind could ever grasp. Passages of Scripture such as 1 Kings 19:11-13, Exodus 3:1-21, John 1:18, and St. Paul’s statement in 1 Tim. 6:15-16 all indicate a total other-ness that God has as well as the unbridgeable gap between God and humanity. 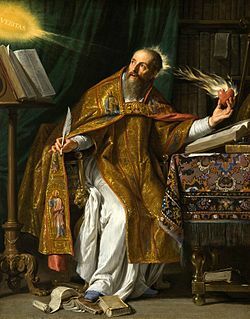 The apophatic tradition also has strong roots in the Early Church fathers as well – St. Cyril of Jerusalem, Tetrullian and the Cappodician Fathers ( Basil the Great, Gregory of Nyssa and Gregory of Nazianzus ) are all apophatic in their theology. Apophatic theology was prominent in the thought of St. Thomas Aquinas and in the writings of various other medieval figures such as Meister Eckhart and St. John of the Cross, and is standard in the theology of the Eastern Orthodox Church today. Any direct, positive statement about God are only those which are revealed – for example, the Trinitarian nature of God, God’s love, compassion, and other attributes. These are revealed to humanity by God through Scripture and in the person of Jesus Christ – it is only through what is revealed that we can make any kind of positive statement about God.